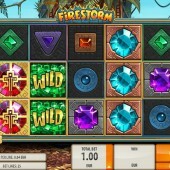 Firestorm is a Quickspin-developed title that delves into the theme of jungle tribes and the whole Aztec vibe. It is a 5 reel slot played out over 25 paylines. There's a nice range of coin bets, ranging from $0.01 to $10 a coin, so all wallets are suitably covered. A positive start. The slot is set in an Aztec world of masks, gold, treasure and hidden palaces. Gems are the order of the day here, with most of the icons on the reels taken up by rubies, emeralds and sapphires, plus other assorted gemstones and trinkets. Some of these 'trinkets', it should be said, pay out badly - really badly - so beware. The Wild icon is the game's Wild and it substitutes for all regular symbols in the game. Look out for the flaming Mask Wilds, however, which are the key icon here. Two or more flaming mask Wilds landing on the reels triggers a Re-spins feature. Wilds, bonus icons and a randomly-selected symbol will lock for the duration of the re-spins. In addition to that, it is also possible to earn a fair-sized multiplier. Get three or more Bonus symbols and you'll earn a multiplier up to 5x. There are some really paltry payouts in the base game, with only the Wild really paying out anything remotely close to a jackpot. The key to making the game pay is to hit those two flaming Wilds on the reels. You're also relying on making good use of those stacked icons on the reels to add up your base wins. That's the only real way - with those miserly payout structures - of winning more than your total bet on each spin. 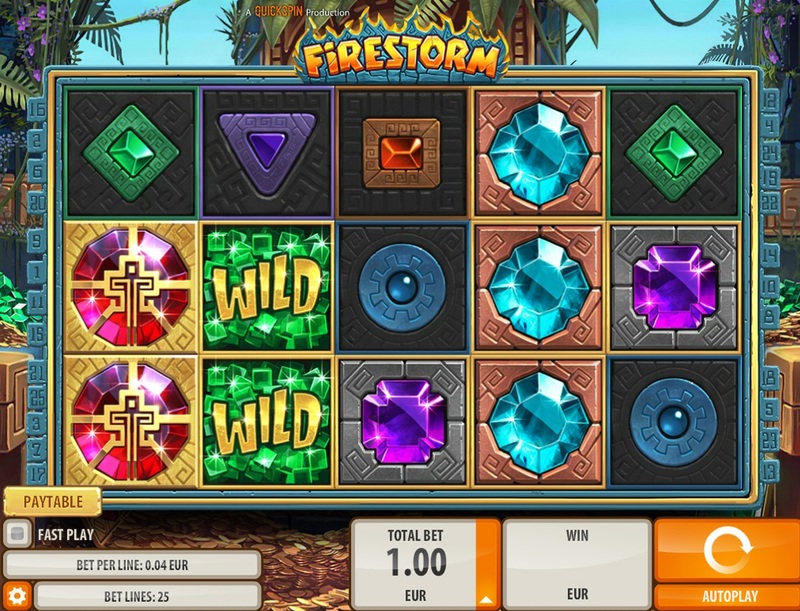 If you're looking for some more no-nonsense Aztec thrills on the reels, check out Play'n Go's cracking Aztec Idols, one of the best adventure slots around, while Gamesys's tribal Tiki Island throws in some fun features for good measure.